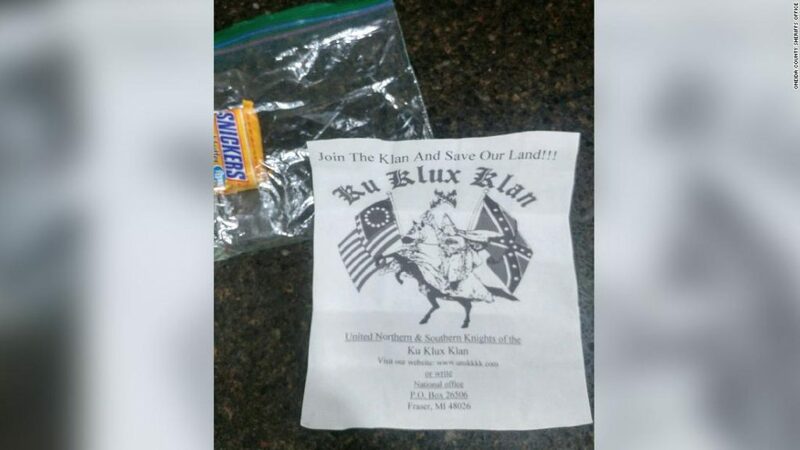 August 6th, 2018 – The Ku Klux Klan is attempting to sweeten its message of white supremacy in upstate New York, using candy to recruit high school and middle school students. KKK propaganda has been left in driveways in Rome and Westmoreland counties packaged along with candy bars and other sugary snacks. Perhaps, some local residents say, this was done to attract impressionable young minds to the white supremacy group. 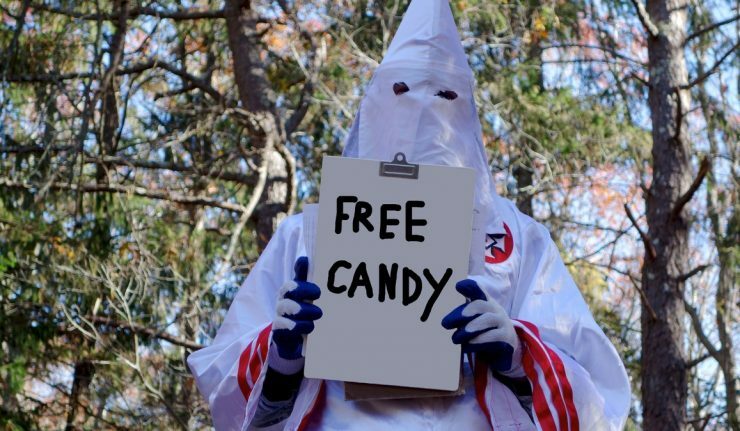 This is not the first time that the KKK has used candy to lure new members. In 2013, a similar sweetened message was delivered in North Carolina, South Carolina and Texas. At the time, Robert Jones, the “Imperial Klaliff” of the Loyal White Knights sect, told local FOX station WHNS that the flyers were part of their “national night ride” – a recruitment event that happens three times a year. It is unknown if students in New York can expect more candy and white supremacy flyer drops in the months ahead, as the Klan has yet to officially comment. Because the flyers packaged along with the delicious candy bars included recruitment information, New York Governor Andrew Cuomo ordered law enforcement to look into the propaganda as possibly inciting hate crimes. Snickers’ current advertising campaign tagline is “You’re not you when you’re hungry” and features people saying strange things when they’re hungry. It was unknown if Governor Cuomo had eaten at the time of the statement. Involved in the investigation will be the state police’s Hate Crimes Task Force and the Division of Human Rights, who will work to establish whether the leaflets are intended to incite hate crimes in New York, the Rome Sentinel reported. Cuomo’s office urged state residents who have experienced bias or discrimination to text “HATE” to 81336.